Andrey graduated from Belarussian Academy of Music where he received his bachelor and master degrees. He also earned his Artist Diploma from TCU in Fort Worth, where he studied with Dr. Tams Ungar. He continued to refine his skills in the Artist Certificate Program at SMU in Dallaswith renowned pianist, Juaquin Achucarro. Andrey delivers an exceptional lesson experience and ranks in the top 15% of our teachers nationwide. 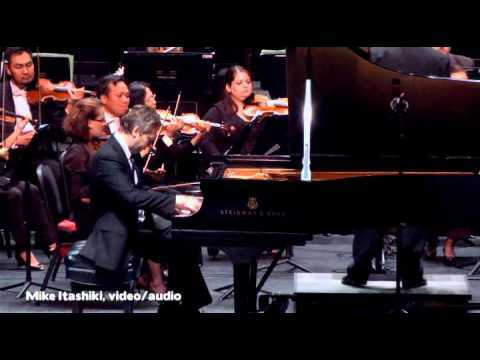 He has performed throughout North America, Europe and Asia, playing with numerous major orchestras and given solo recitals at such venues as Lincoln Center, Carnegie Hall, the Kennedy Center, Salle Alfred Cortot in Paris and the National Philharmonic Hall in Warsaw, Philharmonie in Cologne, City Hall in Hong Kong, among others. His competition awards include Gold Medals at both the William Kapell and Tomassoni International piano competitions and a Bronze Medal at the International Tchaikovsky Competition in Moscow. His other competition accolades include awards at international competitions in Prague, Warsaw, Dublin, Hong Kong, Riga, Alexandria and New Orleans. Among his numerous awards, he was twice named “Outstanding Artist in China” (2009 and 2011) in addition to having been given the positions of “Honorable Professor” of Jilin College of Arts (China) and “Visiting Professor” at the Beihua University (China). In his hometown of Minsk (Belarus), he was awarded the title “Minskovite of the year” 2002. Andrey is a Yamaha Artist.